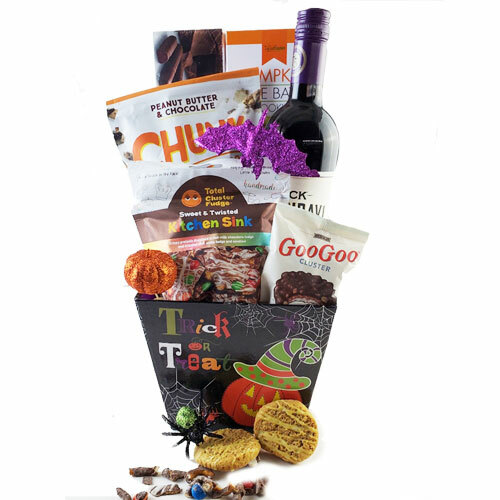 Send your favorite ghosts & goblins a simply devily delicious Halloween treat. Tucked inside this ghoulish tote they’ll find a variety of sweets from Air Heads to Skittles to Nerds and and Gummies. Boo!